Social selling has changed the B2B sales cycle irrevocably. 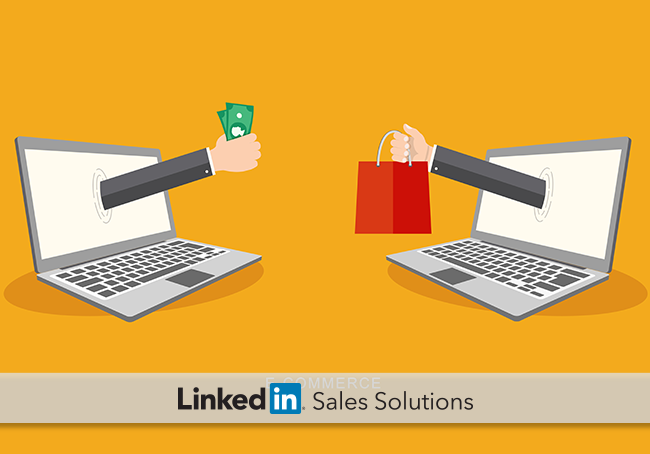 Learn how to use social selling and automation to become an indispensable sales professional. Over the past decade, your role as a salesperson has changed dramatically. That’s not news. Amazon, eBay, Apple, and a dozen other companies have forever shifted the way not only consumers—but businesses shop for products and services. And more innovations are coming in 2016. But what does this shift mean for the future of sales? Does the move online correspond to fewer actual interactions? Do sales reps have diminished roles in today’s sales cycle? Does this signal the end of the era of personalized B2B sales? 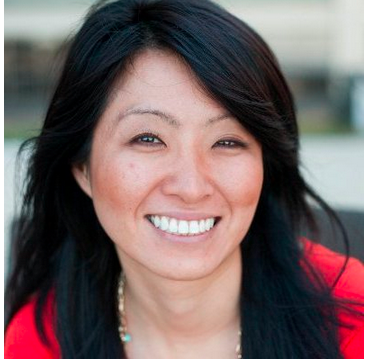 Sales methodologies change—that’s a constant. Rather than a source of panic, it’s a font for growth: the meteoric rise of social selling in 2016—sales for life reports that 74.9% of companies reported growth in their social sales strategy in 2015—means that sales teams are more nimble, responsive, and attuned to their target customers than ever before. But only if these sales teams make themselves indispensable. The same research found that nearly three out of four sales professionals feel that they’re not “proficient” with social selling, which could be a an issue, since 91% of teams anticipate growth in their social selling strategies to continue through 2016. Product information is readily available online, which means prospects are penetrating the sales funnel much further along, but with more buying intent and product awareness. knowledge. However, this doesn’t mean that salespeople have fewer client interactions; quite the opposite. Active sales cycles are lengthening, which means that strong relationships, consistent branding, and the role of social selling is more important than ever. Instead of fielding superficial product queries, today’s sales rep is a consultant using his or her industry expertise to diagnose problems and provide solutions that aren’t readily available online (that whole respect and trust thing Rand is talking about). Informed prospects give you, the sales professional, a chance to really start a dialogue with your potential client. When they know your product, you can engage them and show them your major value add, opening up the door for premium products and services, which is always a win. Yes, some sales jobs are being replaced by automation, but not the indispensable ones. The industry has adapted to service customer needs online without salesperson interactions. However, while Gerhard Gschwandtner predicts as much as 80% of sales jobs being replaced by automation by 2024, Dave Kurlan points out that this might just the best thing that can happen for elite salespeople. A wealth of selling tools and software, synced across multiple devices, are all available to sales professionals. Tools like Buffer, IFTTT recipes, Boomerang, and hundreds more allow a single sales rep to create thousands of impressions with a single click, 24-hours a day. Currently, according to sales for life, only 8.5% of sales professionals have fully integrated automation software into their sales process, which means there is tons of room for improvement. Leverage the power of (free) automation tools to outsource mundane tasks and create an around the clock social media presence so that you can spend more time actually selling to your valuable prospects. 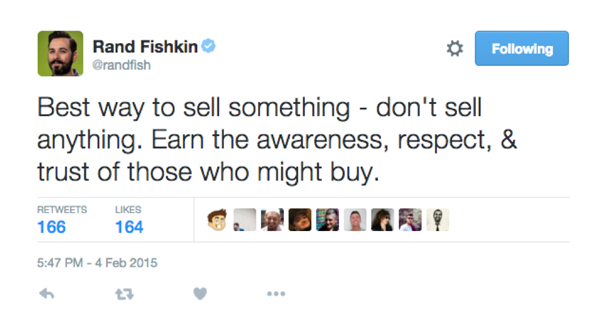 (See Rand Fishkin above). Free, readily available knowledge and training tools goes both ways. It’s never been easier for sales reps to educate themselves on new trends, techniques, digital tools, and markets. Shift fields in a matter of weeks. Plumb the depths of existing markets by enhancing your knowledge of new verticals without getting a PhD. Calculate ROI - People are armed with more product information, but that doesn’t mean they’re able to assess long term value. Take control and make the sale that’s best for the prospect in the long run. The move to online markets and increased visibility has driven prices down across the board, but economy of scale doesn’t work well for complicated solutions. Knowledgeable sales professionals—with industry insight instead of the lowest price—can create customizable solutions that forge long-lasting, profitable relationships for years to come. Automation can never duplicate what makes an indispensable salesperson—trust, insight, and vision for the long-term. Selling has changed. Luckily, it’s never been easier—and more important—to make yourself truly indispensable.